The armistice that officially ended World War I was signed on November 11, 1918. Just a few months later, in February, 1919, Leo and his parents returned to Warsaw from Moscow. 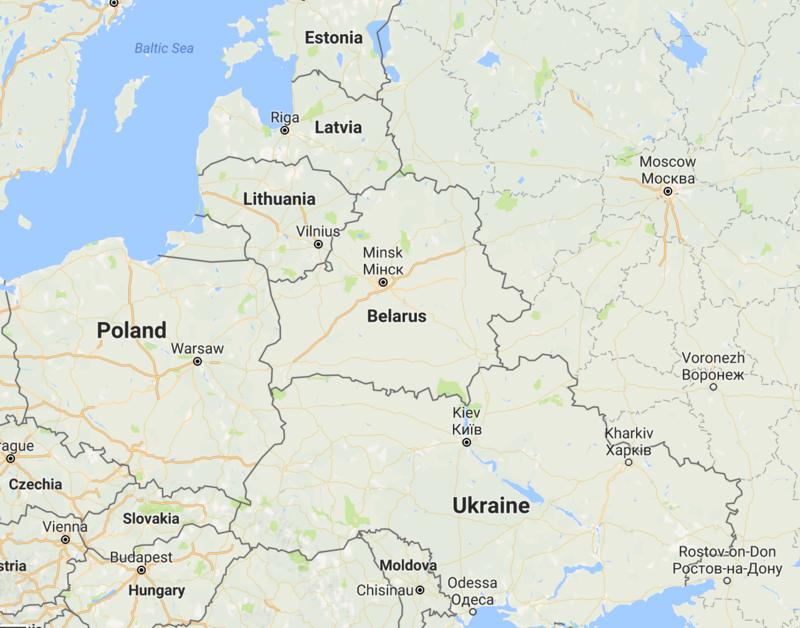 The distance as the crow files between Moscow and Vilnius is around 800 kilometers (close to 500 miles). However, driving distance today is around 950 kilometers, or close to 600 miles. Supposing that the horses could travel 30 miles a day (which could be a stretch given winter weather and probably rough roads***), 600 miles would have taken 20 days! There was no thought of mercy. Russians butchered Polish soldiers, though officers were first tortured before being killed. The Poles behaved likewise. As always, the Jews were victims: Polish and Russian troops both continued their traditions of looting and murdering them at will. However, later periods might well have been worse, due to the Polish-Soviet War (including the Battle of Warsaw), the Lithuanian–Soviet War, and the Polish–Lithuanian War. * The Wikipedia article on the Russian Civil War says that the number of horses in Russia declined from 35 million in 1916 to 24 million in 1920. *** Even today this route is not known for its great roads.